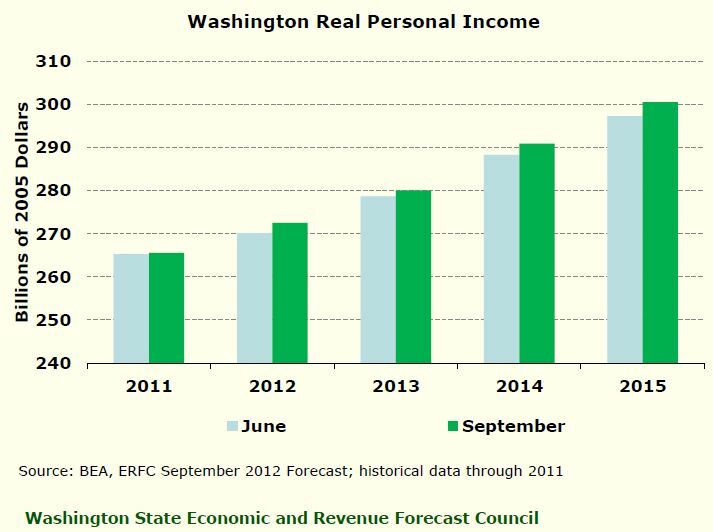 Steve Lerch recently presented the WA State Economic forecast from the Washington State Economic and Revenue Forecast Council. It was an interesting insight into where the local economy sits within the local business cycle and in relation to the country. It is important for local business owners and investors to recognize what is happening locally. 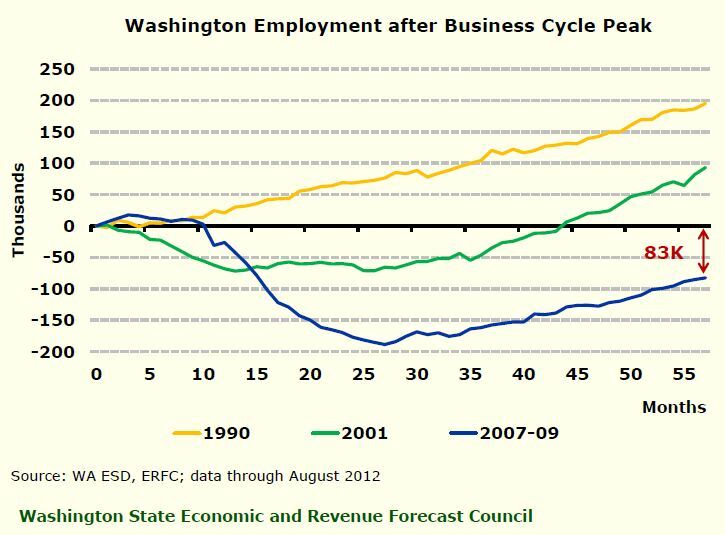 All in all, we are still in recovery mode locally with an 83k job gap from the business cycle peak after 55 months. This is drastically longer than the 1990 cycle where we were above the peak after 5 months and the 2001 cycle where we were above the peak after around 45 months. 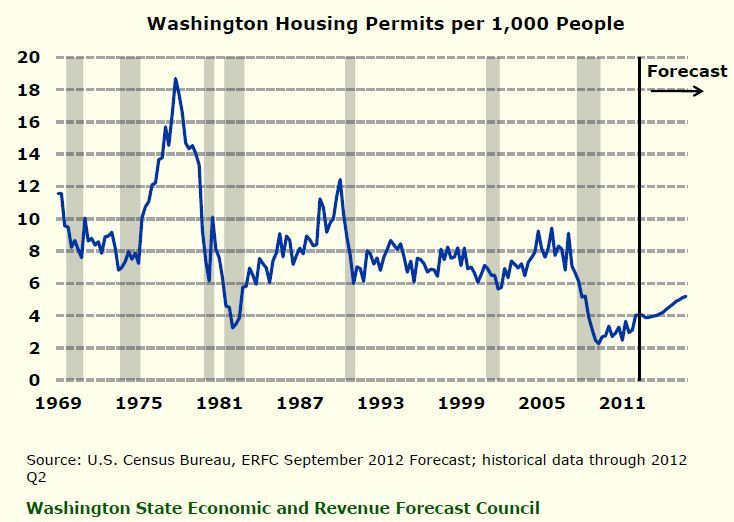 We definitely have room to grow, but the data does show that it has been steady growth. The good news about that is housing has stayed in sync with the jobs gap with a historical low forecast through 2015. This of course presents a potential opportunity for investors and people with jobs to take advantage of the shortfall and participate in the growth of the area. This nicely matches with what is happening in the job recovery section and will create an opportunity for those with jobs to move up, or invest in opportunities that will be realized in the ten to twenty years from now. This is important to realize as employers are seeing enough stabalization in both large and small businesses to indicate that income levels will continue to rise in the near future.